I have a mid 2011 27″ iMac running Sierra 10.12.6. When I open the Disk Utility and look at the panel there’s no SMART entry at the bottom left. The disk seems to run fine and has since I bought it used a couple of years ago. Any suggestions? My MacBook Pro (2015 13″) with Apple SSD also says SMART “not supported” but I learned you can enable it manually through the command line. But the thinking I have is, if Apple decided not to enable SMART on this computer and hard drive, maybe it’s not enabled for a reason. What is the effect of enabling SMART on a drive where it is not supported? Is it worth doing? My big thing is regular backups, it has saved my bacon a few times. Don’t skip that, hard drives DO fail and they fail randomly and for no apparent reason, particularly SSD they seem to work and then suddenly not. SSD failure is not like an HDD failure where you can sometimes hear the drive failing or sounding strange, the SSD silently fails and just stops showing up on boot, complete total failure and often data loss associated. This is what concerns me about how terrible kernel_task is with managing virtual memory because it writes so much data to the disk constantly that there is no way that is good for SSD life span. i use something like this for checking a raid remotely. seems reliable. I tried both of these options and both returned SMART not supported…not sure what this means? That is typical for an external drive, a USB drive or an older drive. Try the “View” tab upper left corner. Select ‘show all devices’ to see if you are selecting the correct drive. Sal, Your suggestion worked. Clic ked on “show all devices” under the view tab and bingo got it all. Thanks for your input. This should have a disclaimer at the beginning or end of the article that many older machines and drives are NOT SMART enabled. Not all of us are lucky enough to have a newer Mac or Mac Book Pro. 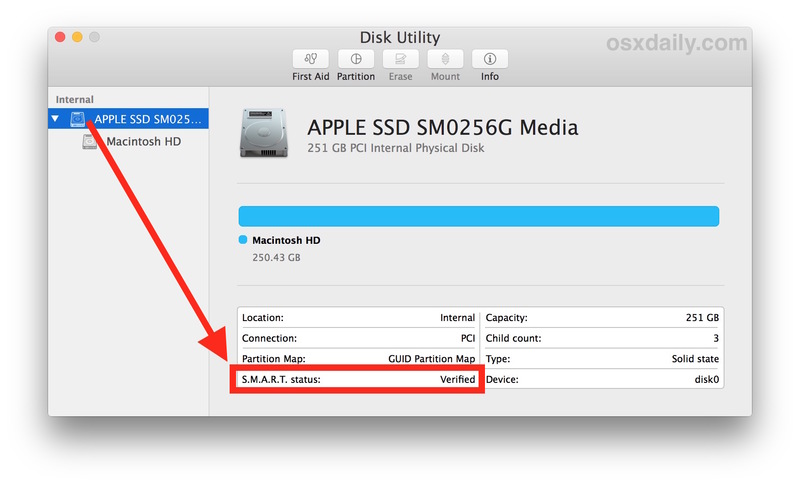 Note that the new apple macbook pros with the 2TB drives – this shows S.M.A.R.T. as not supported. Probably not a big deal as no-one buys these anyway because they cost too much (except for me). If you can afford one of these you can afford a robust backup plan also. Mine says “smart not supported”. It’s a 250GB Sandisk SSD. Does someone know why? 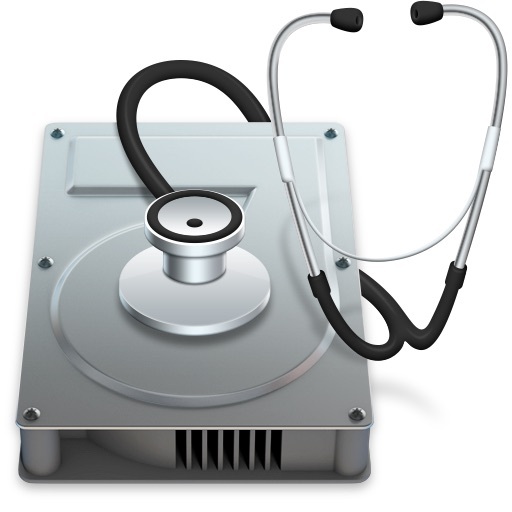 Carbon Copy Clone also backs up your OS and is bootable. Saved my bacon more than once. Definitely a sound investment. I DO still do Tm backups as well. On my Macbook Pro (2013) with an SSD, I had to go to the top left icon on the toolbar and check ‘Show all devices’ to see the disk. Otherwise, I only could see the Macintosh HD entry – which shows a mount point and a different set of parameters. PS: My Diskutility screen is different to your screenshot. I think I have added icons (right click and choose customise) in the past and that is where the ‘View’ icon appears and lets me use the show devices option. The internal SATA HDD on my MacPro5,1 running macOS high sierra also says “not supported”, and its a 4TB WD that I just bought in April 2018. So, it’s not an old drive (today is June 1, 2018). This drive, however, has gone missing from the desktop three times now. Twice I fixed by opening my Mac Pro and re-seating the drive in bay two. The last time it re-appeared on its own. Very mysterious. Any suggestions? I was delighted to see “Verified” on my beloved, workhorse mid-2012 MBP!! !